Indian Food is one of the safest cuisine with lots of Gluten Free options. Most curries are usually accompanied with either rice or flat breads (which are generally made of wheat and can be easily avoided). The curries are freshly made from scratch using vegetables and/or seafood/meat options and spices. The variations of food available under the Indian cuisine repertoire is so large that you can try a new style of curry everyday without ever getting bored. The Indian restaurant scene may be a little challenging. A major drawback to eating out at an Indian restaurant is the ignorance towards allergies. Food allergies are not very prevalent in India so most people are not aware of it. Cross contamination is the major cause of concern for people with allergies. Restaurant staff are usually not well trained/educated to understand the risk of allergies. The most conspicuous gluten in Indian cuisine are the Flat-breads- rotis, naans, puris. 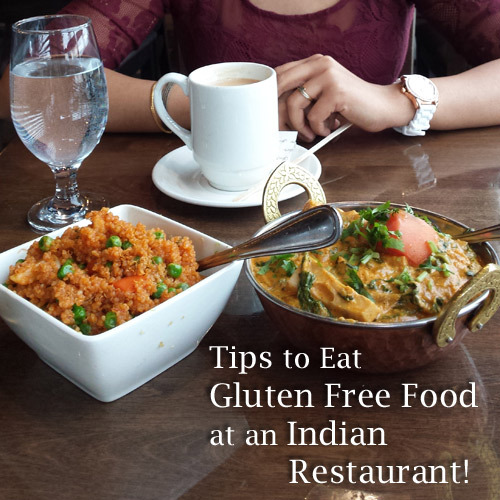 But there is also a lot of hidden gluten in Indian food and I had to learn it the hard way. I have made an attempt to list a few pointers below. Understanding the pitfalls will help Indians and Non Indians eat safely and enjoy the cuisine better. Samosa, the most famous Indian snack is a potato stuffed fried dumpling made up of all purpose flour. Dosas and idlis are usually made up of fermented rice and lentil mixture. But there are variations like Rava dosa, rava idli which are made with semolina which is cream of wheat. 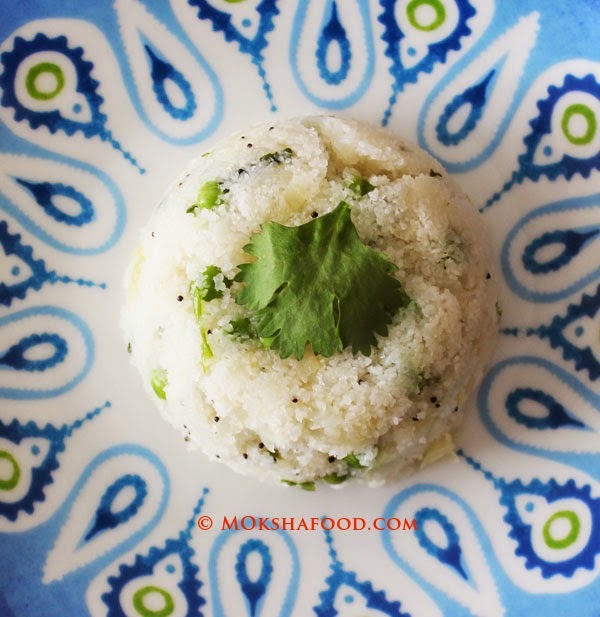 Rava/ Semolina is used to make Indian breakfast items like upma or sheera. These should be avoided by gluten sensitve people. Chats or bhel are common street snacks in India. The papdis made for bhel/chat and the pani puris are all made up of wheat. Fritters are usually made with besan/chickpea flour but it helps to cross check before eating. Most flat breads are made with whole wheat. Naans are made with refined flour. Puris are small deep fried puffed up breads. They too are made with whole wheat. 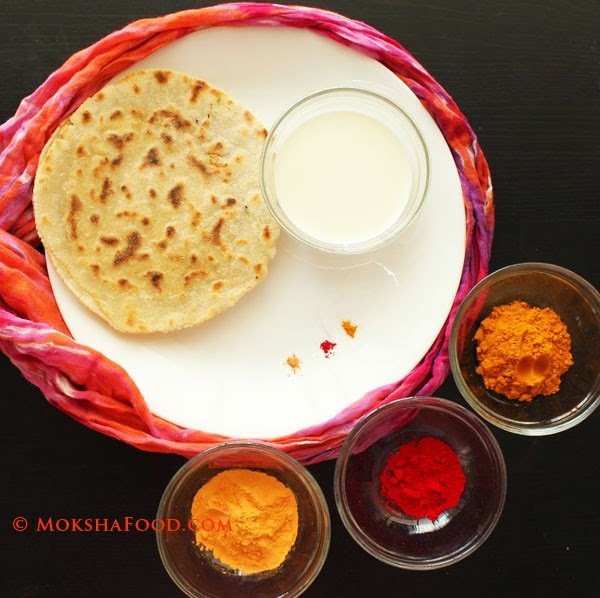 Parathas are stuffed whole wheat breads also to be avoided. Some places do offer breads made out of millets(Jowar/Sorghum, Bajra) but most of the time wheat is added to help bind the flour better. Pau are small dinner rolls served with curries or mashed vegetables. 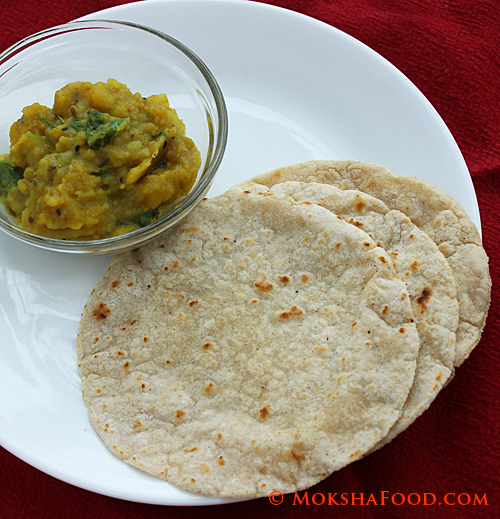 Asafoetida or hing is a very common ingredient used in Indian cooking for tempering the dals. Asafoetida by itself is safe but its usually mixed with wheat in its packaged form.There are certain stores online which sell gluten free asafoetida. Most Indian curries are gluten free but at times chefs add starches to thicken gravies at restaurants. Kindly speak to the chef to be aware. Indo chinese food uses soy sauce quite liberally. Soy sauce also contains wheat as a thickener. Gluten free soy sauce is available at select markets. Certain recipes have the proteins (chicken/fish/paneer) battered and fried before adding to the gravy base. Rice dishes like Biryanis are also at times covered with gluten flatbread to create a seal/dum while cooking. Gulab jamuns, jalebis are very common desserts served at restaurants, both made up of refined flour. Most bengali mithai is milk based but they do add some amount of flour to help them shape into desire shapes.